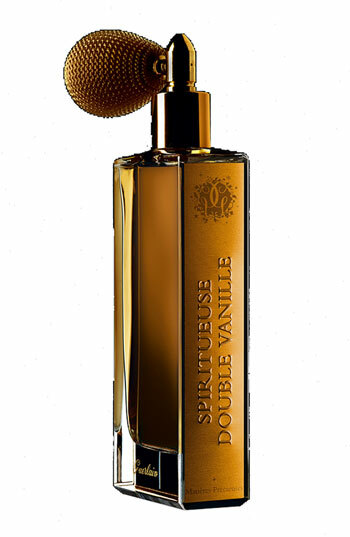 Spiritueuse Double Vanille: launched in 2007 as a limited edition. 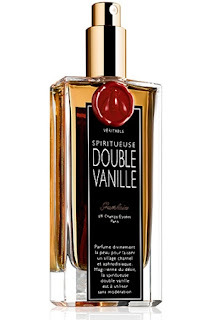 Created by Jean-Paul Guerlain. "Vanilla belongs to the Orchid family and was discovered by Cortez. Considering that vanilla in the 17th Century was acclimatized in royal gardens, its infertility was surprising. The botanists had not understood that the bees were actually flirting with the vanilla plants. 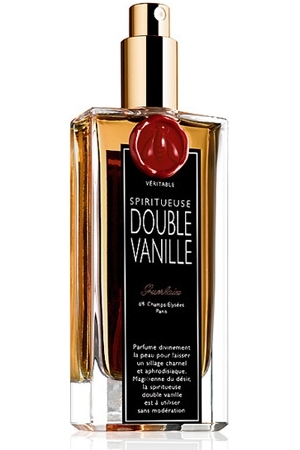 It was Charles Albius, a slave from Reunion Island, that in 1841 discovered the 'gesture' that ensured the vanilla plant's line of descent: With the aid of a sharp point of bamboo he picked out the pollen and transferred it to the flower's stigma. Today, the hands of professional 'matchmakers' can fertilize, one by one, up to 2000 flowers per day. Vanilla is mainly cultivated in Madagascar, Java, Tahiti, Reunion Island and Seychelles. In time of harvest, each vanilla bean is picked when it has reached a precise level of ripening. That's when the ritual of preparation begins." So what does it smell like? It is classified as an oriental fragrance for women.